Get straight to the point in this thoughtfully designed, ground-level space. 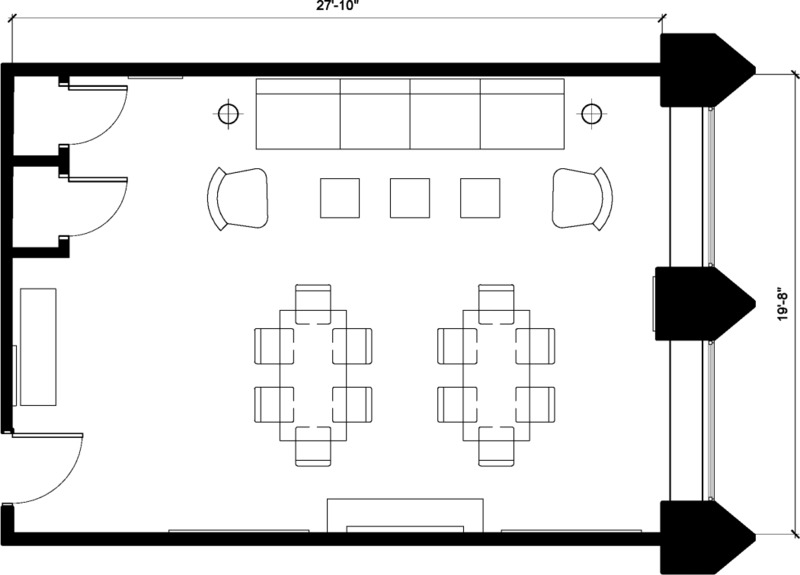 A perfect space for mid-sized team meetings and hatching your next big idea. Please note there will be slight noise from construction outside the building and this will be on going until Tuesday, April 30, 2019. The TV uses a universal remote. To turn on the TV, press the "tv" button on the remote.